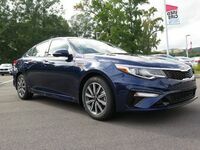 The 2019 Kia Optima is a solid option for anyone who is looking for a sedan. 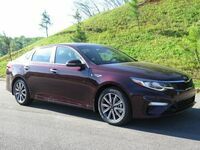 But, you’ll need to decide if you are more interested in the 2019 Kia Optima or the 2018 Kia Optima. So, we’ll take a look at this two years of the Kia Optima to see where the Optima has changed, and what specs and features you can expect to see. Because we are trying to keep things as even as possible, we are going to be taking the specs and features of the base trims of the 2019 and 2018 Optima. That means that we are taking the LX trim of these vehicles. We are going to be taking a look at the engine type, safety and technology features, and transmission of the Optima. Now, let’s take a look at what you can see on the 2019 and the 2018 Kia Optima. 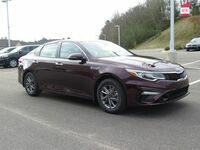 As you could imagine, the 2019 Kia Optima has a few technologies that are not available, or isn’t standard, on the 2018 Optima. 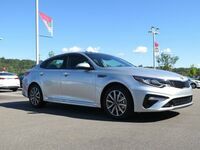 If you are interested in driver-assist technologies, then you’ll probably want to check out the 2019 Kia Optima in favor of the 2018 Optima. 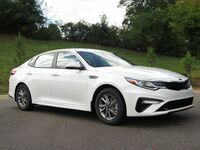 This is because the 2019 Optima has the Advanced Driver Assist Systems, also known as the ADAS, standard on the vehicle. While you can get the 2018 Kia Optima with the ADAS system, it is optional in the 2018 Optima, so you’d need to pay more if you want an Optima that has it. 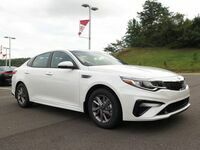 If you are looking for more technologies, then you’ll also probably be more interested in the 2019 Optima, which has an available UVO link w/navigation, while this isn’t available on the 2018 Kia Optima. A drawback or perk of the 2019 Optima is the transmission. Some people like CVT transmission over automatic or manual, and some don’t. So, whether the transmission on the 2019 Optima is ‘good’ or ‘bad’ is entirely up to you. 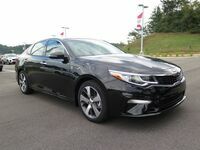 If you have any questions on the 2019 Kia Optima then feel free to contact us right here at Serra Trussville Kia. We’d be happy to answer any questions you may have on this, or any other Kia vehicle.